In light of the many recent advances in predicting clinical outcomes for people at risk of contracting Alzheimer’s disease, it is time to assess which methods perform the best at predicting future data. So, we are inviting all researchers including clinicians, statisticians, machine learning specialists, data scientists, and computational modelling experts to predict selected outcomes for a set of ADNI participants. Your chosen method will be assessed for its ability to predict future data for these participants. Let’s predict the future and make Alzheimer’s disease history. 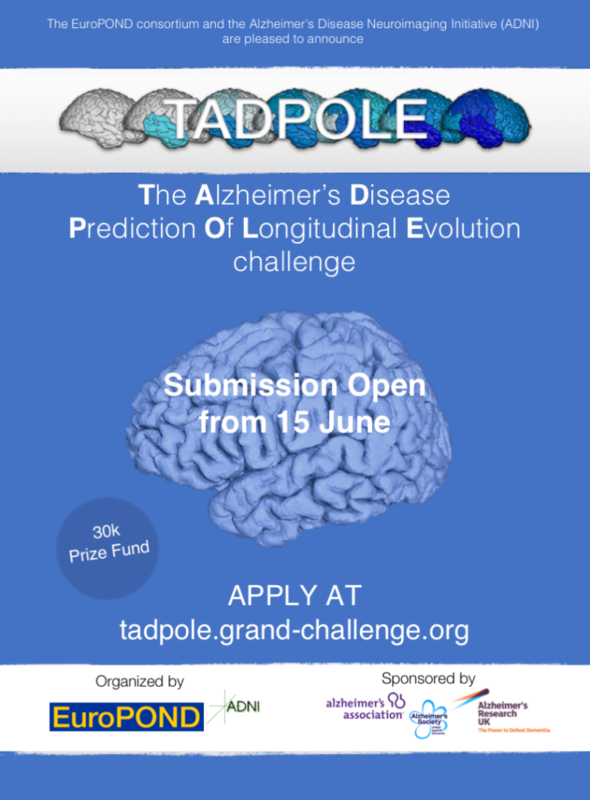 This entry was posted in Announcement and tagged adni, alzheimer, challenge, clinician, data science, data-driven, disease progression, machine learning, model, modelling, prediction, quantitative, statistician, statistics. Bookmark the permalink.